BS3 Sports Show - "Now The Real Basketball Begins"
This week previewing the NBA Playoffs with Tyjun Mack. 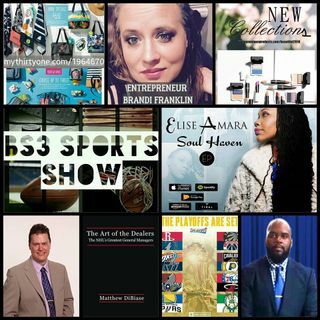 Also, special interviews with Soulful Singer Elise Amara about her EP Soul Haven and Author Matthew DiBiase about his book "The Art of the Dealers: The NHL's Greatest General Managers". Last but not least, talking hot topics with Terrance Bennett of the T-ENT Sports Podcast. E-mail her at brandi.haller95@gmail.com for more details!